Desi Parent Reactions ­- When You Tell Them You Have A Boyfriend! Many of us have been through that awkward moment when we first introduced our boyfriends to our parents. Being an Indian girl, it definitely takes guts to have that talk with your mom and dad. Sometimes we just avoid doing it, but if we do decide to tell them, the reactions we get are either too funny or too scary. Here are some crazy reactions people have received when they tried opening up to their parents about their relationships. Radhika Ghosal answers on Quora: When I told my mother I was dating someone, she laughed at me for 10 minutes straight. Looking at my track record with men, I think my mom was more prepared to hear me come out of the closet, than this. The conversation went something along the lines of: Mom: So, who's the poor guy? Me: [name] Mom (after a short pause): Oh, the boy who sleeps a lot, right? Me: Yeah. Mom: Okay, just don't get hurt and don't let your academics suffer. I'd rather not talk about this again. 2. The ones who warn you at the right time. 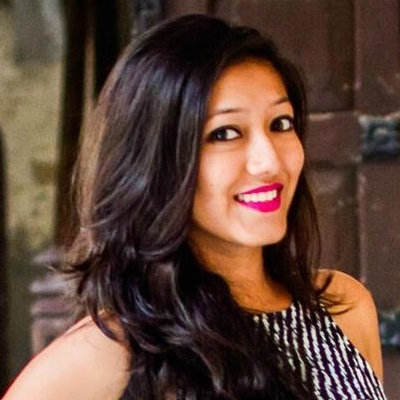 Virali Modi answers on Quora: My first boyfriend was 7 years elder to me. I did like him, but he seemed immature. We started dating and about a week later we had a fight. He came to my house and created a scene. That's when I finally told my mom. She was normal and calm, but as soon as he left, she told me to break it off. She told me to remain friends with him and said that if I continued this relationship, he'd make my life a living hell. Which is exactly what happened. He made me cry, he hurt me, and he cheated on me. Anonymous answers on Quora: My folks reacted exactly opposite to how I had imagined they would! I thought when I'd tell my parents, my mom would freak out and dad would just hear me out. But the exact opposite happened! My dad was angry I hadn't told my parents when I thought I was starting to develop feelings for him. On the other hand, mom was completely cool about it. She heard the entire story, inquired about what he did, what his parents did, everything there was to know. 4. The ones who want you to break up RIGHT away! Anonymous answers on Quora: My parents were shocked and my mom said "How could you do this to us. Inter caste marriage, not possible. Ask him to leave you alone." They were rigid and kept asking me to leave him. But that was 6 years ago and now they are mostly ready and I might get married to my boyfriend in the next 6 months. 5. And the ones who really want to meet him!